Computer Graphics Forum (Eurographics Symposium on Rendering), vol. 31, no. 4, pp. 1385-1389, 2012. We present user-controllable and plausible defocus blur for a stochastic rasterizer. We modify circle of confusion coefficients per vertex to express more general defocus blur, and show how the method can be applied to limit the foreground blur, extend the in-focus range, simulate tilt-shift photography, and specify per-object defocus blur. Furthermore, with two simplifying assumptions, we show that existing triangle coverage tests and tile culling tests can be used with very modest modifications. 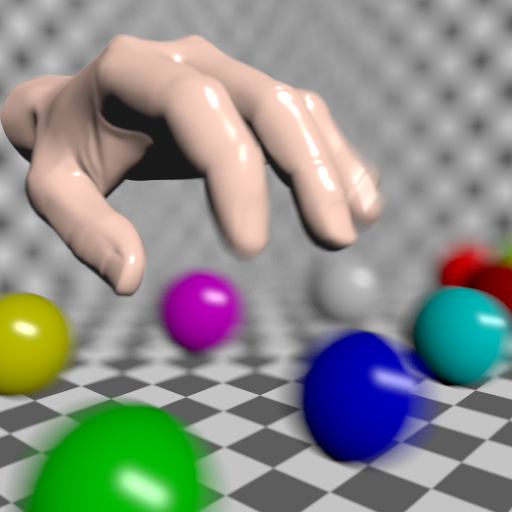 Our solution is temporally stable and handles simultaneous motion blur and depth of field.